As the cooler weather roles in I find myself gravitating to certain textiles. One in particular is velvet. Love this soft, textured fabric on sofas in particular. 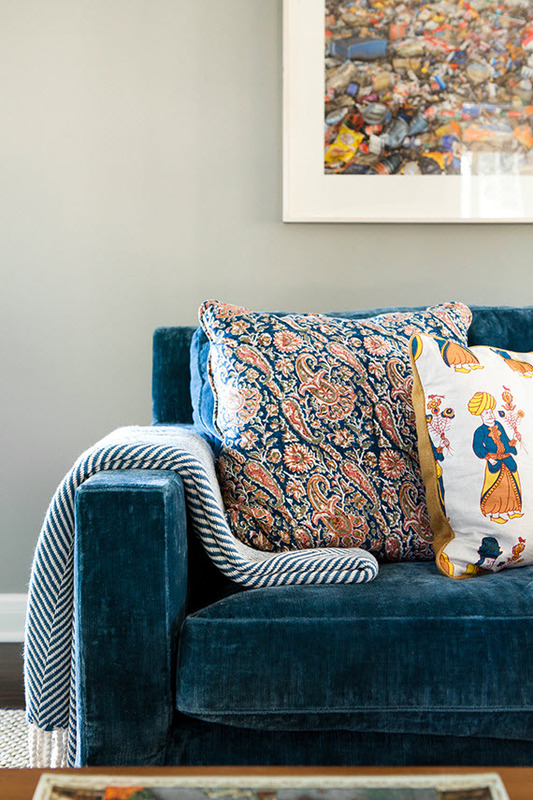 I’ve pulled a few of my favorite interiors featuring velvet sofas and as you will see the textile look great in just about any color and style. Known for mixing modern and vintage elements, Catherine Kwong selects a sofa in a deep marine blue velvet for urban living room. 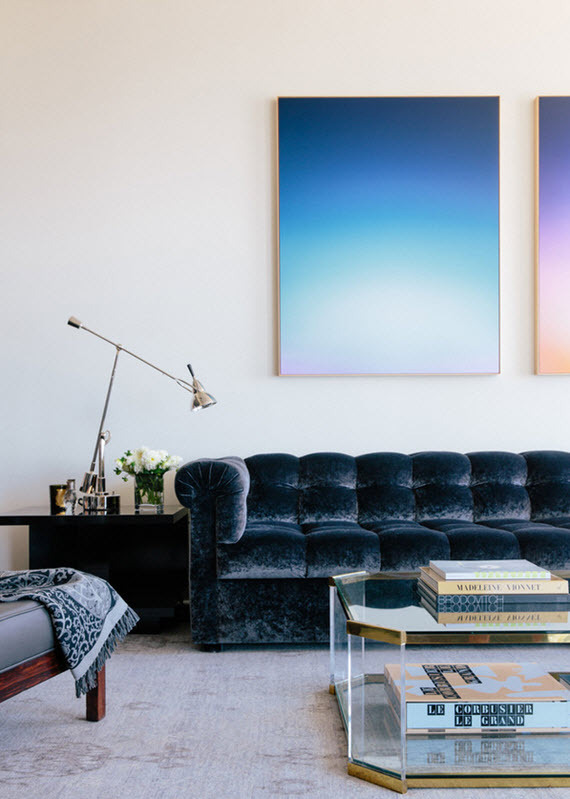 The tufting is beautifully executed and allows the velvet to shimmer. If you like this look, check out West Elm’s Chester Sofa (disclosure: affiliate link) in performance velvet. 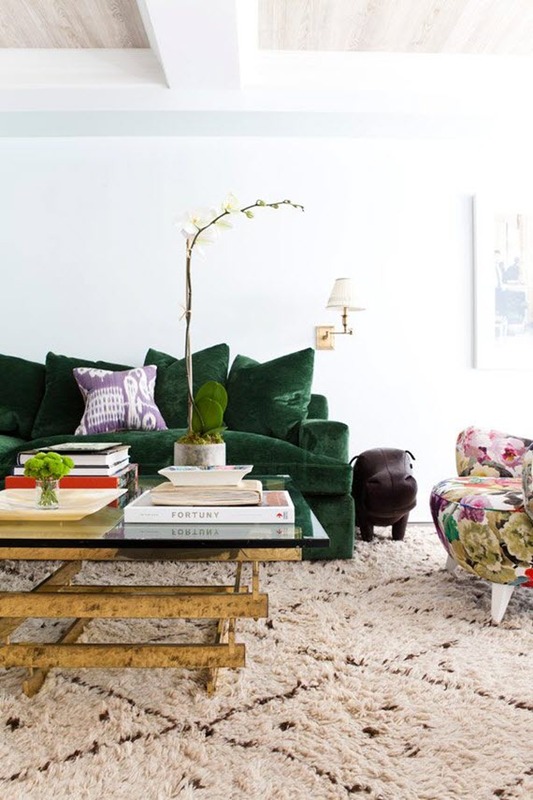 Interior designer, Lilly Bunn features a stunning emerald green velvet sofa in this chic living room. Love how she mixes period styles and pattern here. Gorgeous! 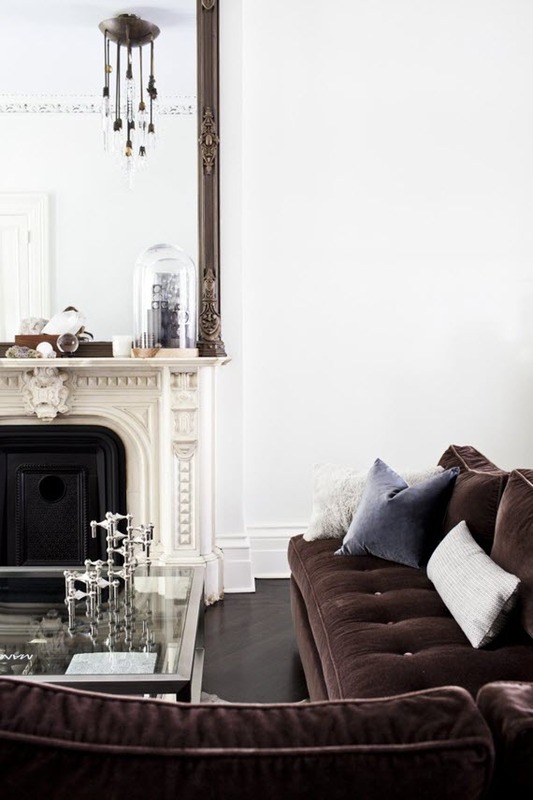 Rich chocolate mohair velvet covers the sectional in lighting designer, Michelle James’ Brooklyn apartment (as seen in Remodelista). Cozy, luxury at its best! Love using velvet. I have used blue and green velvets for years. Never tire of them and they work with every style and color that I like. Also love your style and blog. Thanks! Cozy Fall! Definitely my favorite season. That first sofa is great. Great lines, great color, great fabric. Love the tufted sofa! Gorgeous…thanks for sharing!